Dandelion is capable of creating abundant health benefits upon our body. In western countries, it has long been labelled as a “natural antibiotic”. While from the perspective of traditional Chinese medicine, it is often used as an antipyretic and an antidote to heat toxicity. So coincidentally, the western and eastern medicine have reached a consensus upon dandelion’s valuable medicinal uses. Let’s see some of the amazing health benefits of dandelion. acute conjunctivitis, cold and fever, acute tonsillitis, acute bronchitis, gastritis, hepatitis, urinary tract infection, hot eyes, acute pharyngitis, difficult urination, and so on. 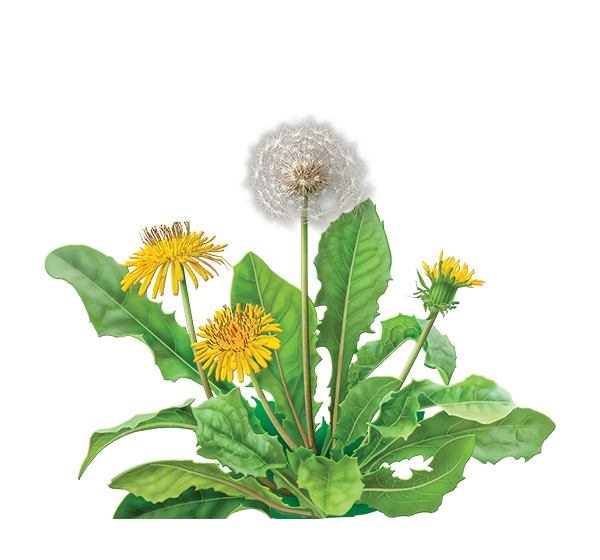 In medicine, the whole body of dandelion can be used to make herbal concoctions or herbal extracts. Health benefits of Dandelion: Some studies have proven that dandelion has protective effects against lipid peroxidation and free radicals which prevent our liver from functioning properly. Dandelion has abundant nutrients which are very important to liver function, the B vitamins in particular. It helps to clean the liver and increase the production of bile. That’s the reason why dandelion has long been used as herbal treatment for many liver diseases, like hepatitis. Meanwhile, it is widely used to combat a variety of respiratory diseases and gastroenteritis; it has a wealth of vitamins A and C and minerals. Drinking dandelion tea before meals can improve indigestion and constipation. Health benefits of Dandelion: It cares your skin and helps hair growth too. Clinically it demonstrates its ability to get rid of premature graying, prevents hair loss treats skin problems like acne and dermatitis, and removes pigmentation rashes/patches and freckle on forehead, nose, and cheeks.